Welcome and thank you for supporting Gaynor! Whether you are a Gaynor alum, a grateful parent, or a caring friend, we depend deeply on your generosity to further our school’s mission. Your commitment is a testament to the true difference a Gaynor education can make by providing an individualized curriculum to each student. Annual Fund – The Annual Fund is the philanthropic priority of Gaynor, as it helps to sustain our general operations as well as support faculty and specialist salaries and benefits. Annual Fund support is put to use immediately during the school year and covers every aspect of each student’s education. Gala – Past Gaynor Galas have celebrated our outstanding school community and raised money to support special initiatives at the school. Capital Campaigns – In 2015, we successfully completed the Believe & Achieve Campaign allowing us to build the South Building which now houses the Early Childhood Center, an expanded Middle School, the Field House and a SMART lab. Capital gifts are used to add to or improve the school’s facilities or secure its financial future. Support is critical to our operation and growth. We hope you will consider Gaynor as a priority for your philanthropic giving. 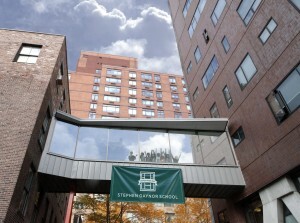 Stephen Gaynor School is a designated 501 (c) (3) non-profit organization. Your contribution is deductible in accordance with current IRS regulations.